(Natural News) Roses are famous all over the world because of their sheer beauty, but that’s not all the plant has to offer. For thousands of years, people have turned to the rose plant not for its flowers but for its fruit, the rose hip. In particular, the fruits have been used in traditional medicine to treat a number of health conditions. Now, researchers are looking at whether rose hips can help manage obesity. There are studies that point to the ability of rose hips to prevent weight gain and decrease visceral fat – a type of fat that can influence conditions such as diabetes and cardiovascular disease (CVD); however, these have all been conducted using animal models, and its potential to be used in human treatments remained unclear. That is until researchers from Japan led a clinical trial to evaluate the effect of rose hips in reducing abdominal visceral fat in borderline obese people. The study, designed as a double-blind, randomized, placebo-controlled trial, involved 32 people with a body mass index (BMI) of more than 25, but less than 30. While that is only considered to be overweight and not obese, researchers have determined this range to be pre-obese. For 12 weeks, the participants received a chewable tablet that was either a placebo or contained 100 mg of rose hip extract, and no other changes were made to their diet or caloric intake. The team measured information such as abdominal body fat (subcutaneous and visceral fat), body fat percentage, weight, and body mass index during the study. Based on the results of the study, the people who took rose hip extracts significantly reduced their abdominal total fat area, abdominal visceral fat area, body weight, and BMI, compared with their baseline levels and that of the placebo group. Their body fat percentage also dropped, and there were no adverse reactions reported during the study period. The researchers identified tiliroside, an active ingredient in rose hips, to be responsible for the fat-reducing properties of the fruit. The compound accelerates fat metabolism and improves the body’s utilization of glucose, which prevents fat from building up in the tissue and triggers fat burning. In addition, tiliroside also possesses anti-inflammatory, antioxidant, and antibacterial properties. Rose hips can usually be found in the late summer and autumn – after the flowers have all been pollinated. These are also known to be one of the most nutrient-dense fruits of any plant, making them a sought-after item in most markets globally. It’s also a very versatile ingredient and can be used in jams, jellies, soups, wine, and even bread. They prevent chronic diseases. Rose hips are packed with carotenoids, flavonoids, and polyphenols that are loaded with powerful antioxidants that prevent free radical damage in the body. They lower cholesterol levels. Bioactive compounds in rose hips prevent the accumulation of LDL cholesterol in the body, reducing a person’s chances of getting a stroke or suffering from a heart attack. They boost immunity. 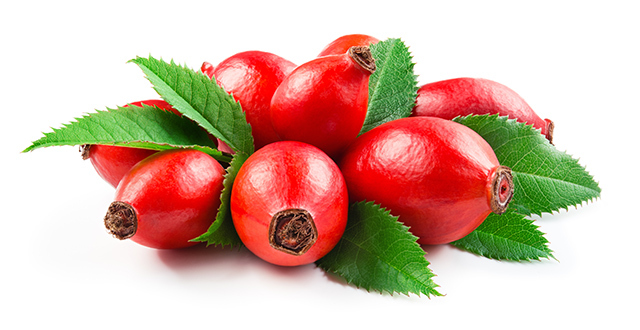 Rose hips are also rich in vitamin C, which greatly supports the immune system. They regulate blood sugar. People who have diabetes can benefit from rose hips as they balance insulin and glucose in the body and prevent sudden dips and spikes in blood sugar levels. They contribute to healthy skin. One of the most well-known benefits of the rose hip, its astringent quality, helps keep skin supple and prevents wrinkles. You can learn more about the health benefits of rose hips, and other fruits, by heading to NaturalCures.news today.